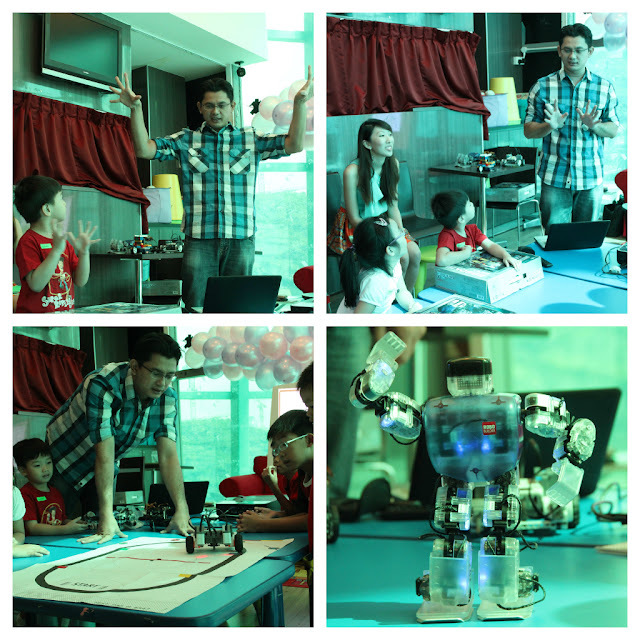 Thanks to a recommendation to the organiser In3Labs by my blogger friend Susan, we were invited to a free robotics trial for bloggers with kids aged between 5.5 to 8. Isaac is only approaching 5 years old in August this year, but as he is rather matured for his age, so I figured he could handle it. The trial was conducted at Peek-a-Boo indoor playground which is on the second floor of Kallang Leisure Park - which was conveniently located right next to the new Stadium MRT Station (Circle Line). I decided to park and ride the MRT instead of driving there coz I know the roads have changed quite a bit in that area since I last went there. There were three blogger families there that day. The J Babies, the Seng Kang Babies, and us. Four kids of age to participate in the robotics trial, and off we started. Mr Yama, the trainer has experience teaching kids, so he did try to rah-rah the kids by asking them to make hand signals and actions, and gave mini quizzes to 'test' the kids' knowledge of 'robots'. 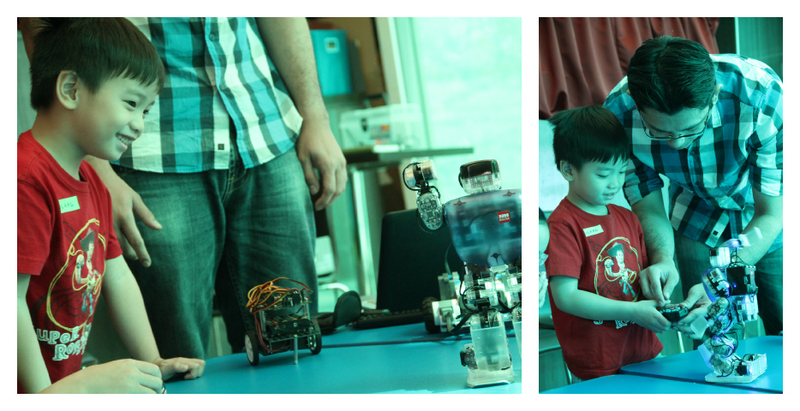 The highlight of the session was when Mr Yama demo-ed the different robots the team brought with them that day. Especially popular was this particular robot which could walk and dance a jiggly dance on the spot. 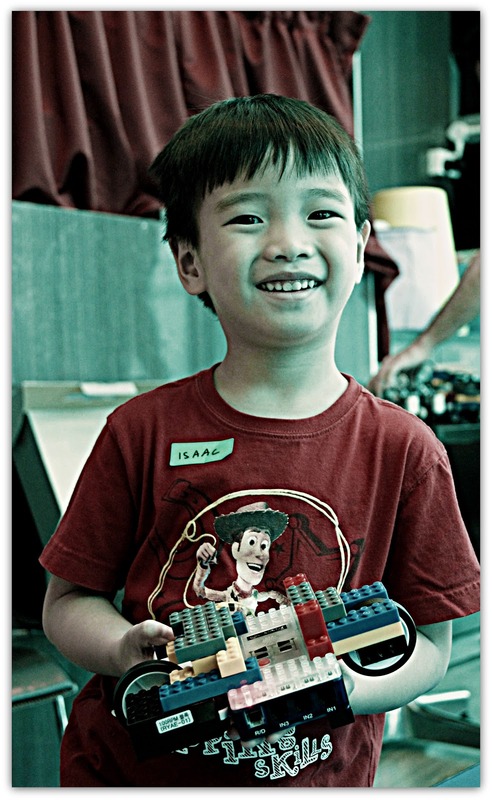 Isaac loved it when he finally got a chance to hold the controls to the dancing robot and have his go at controlling the robot. Unfortunately, this robot was not the one we were going to construct that day. 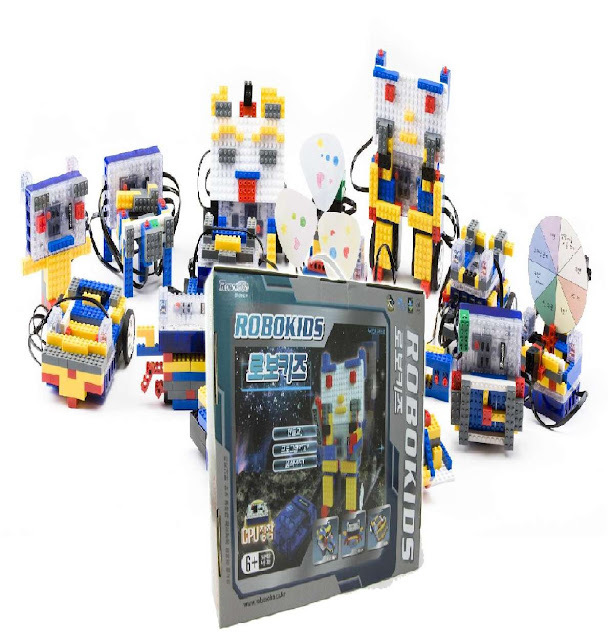 We were going to use this Korea-made robotics kit below called RoboKids. It was Lego-like bricks and some robotics components like a CPU and wheels which could be connected/plugged-into the CPU. There was also some nifty contraption which could read the cards that came with it and was like a pre-programmed thing. 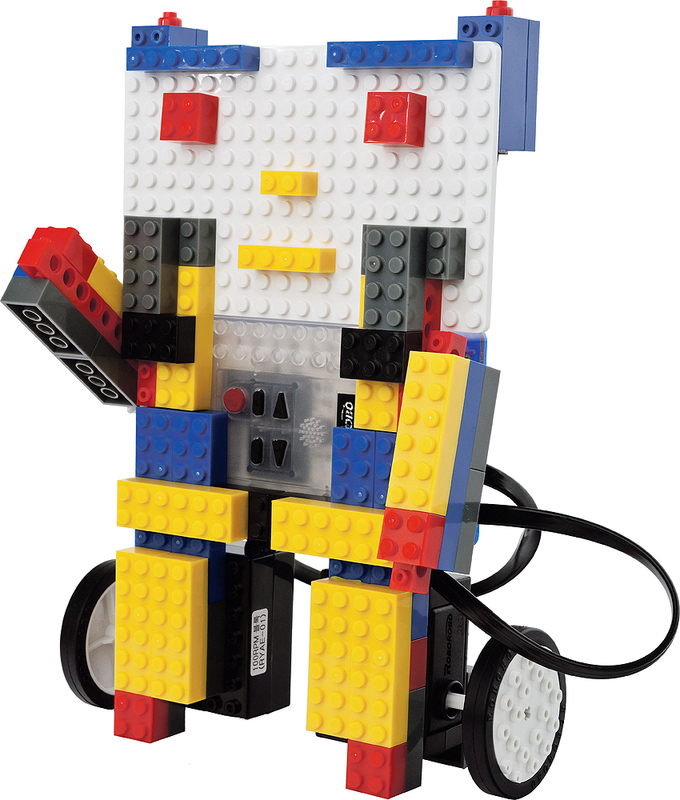 Subsequently, Mr Yama taught the children how to recognise and count the rows and bumps in a lego brick so that they could follow the step-by-step instructions flashed on the screen to create the "robot" below. Basically, it was a lego structure with wheels that was connected to the "CPU" brains of the robot which was encased in plastic and had the lego bumps on its surface. I'm no expert on robotics, but I felt that the trial did not really touch on robotics at all. I gave this feedback to the In3Labs team, and they admitted that perhaps the trial was a little too short to cover everything they wanted to cover. They were receptive to comments and showed the want to hear them so that they could improve themselves. I thought that was a good attitude to have. 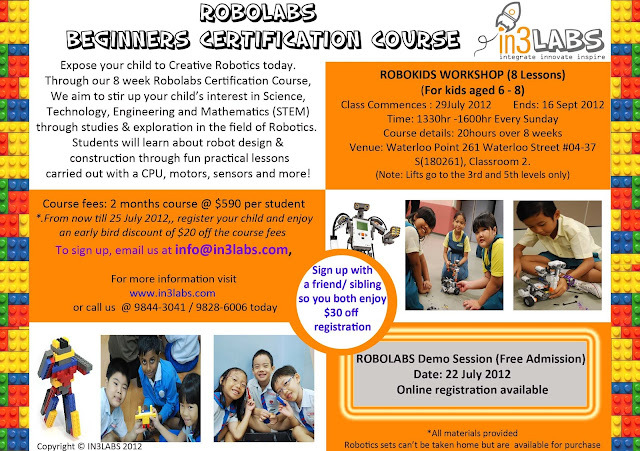 The team conducts "RoboLads Beginners Certification Course" details below, and on their website. They provided us with their course outline for our perusal. So if you're interested, perhaps you could email them to ask for the course outline to see more details. For parents and children who are keen to find out more. They can join In3Labs at their monthly talks about their Robolabs programmes. The talk is free and the next one will be held this Sunday, 22 July 2012, from 5 to 6pm at Peek-A-Boo indoor playground @ 5 Stadium Walk #02-12 Leisure Park Kallang, Singapore 397693. 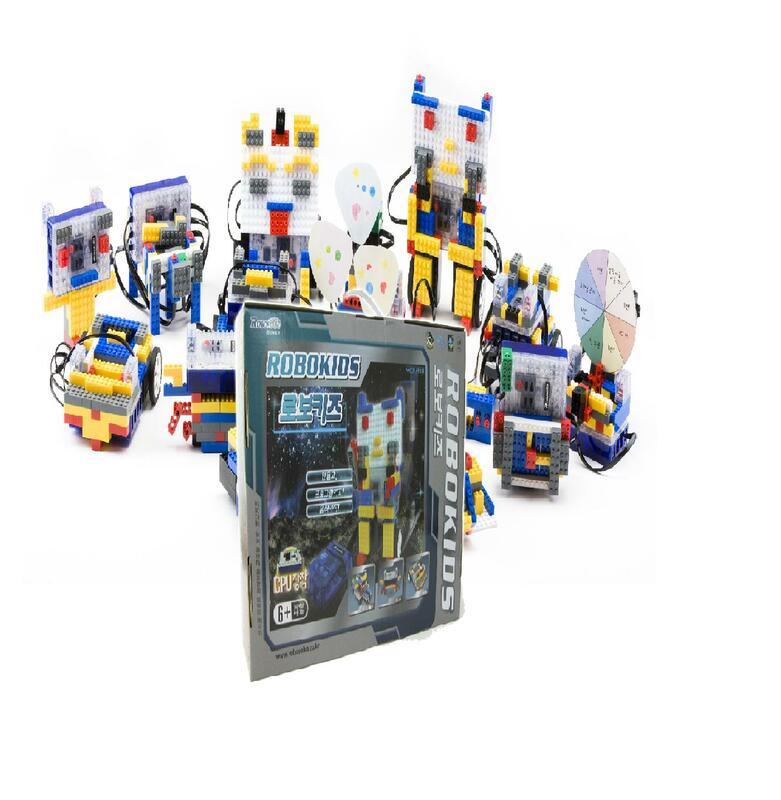 Though one thing to note, robotics sets will be provided during the course, and you cannot take them home after the course, though if you wish, they are available for purchase. As only one kit will be provided for every three kids to share, you may wish to purchase your own set before the course commences so that your child will have his own set to use during the course. Well, that's what I would do if I sign Isaac up for the course, just a suggestion. Well, now's your chance to go for a free trial yourself! We've been tasked to conduct a FREE RoboKids Workshop Trial Class (worth $75) for one child (aged between 5.5 years old to 8 years old). This is actually the first lesson of the RoboKids Workshop (details above). The winner of this giveaway will be announced on this blog at the end of this post on 23rd July 2012. Good luck and have fun thinking of the name! Thanks for sharing the useful information. It was really amazing. Thanks for sharing. Keep sharing.